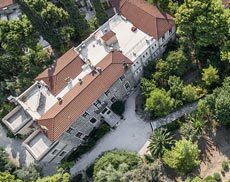 Early Career Fellowships at the British School at Athens are offered for up to 3 months for research in any branch of the arts or social sciences related to Greece. The Fellowship is non-stipendiary, but accommodation and airfare are provided, either to Athens or Knossos. 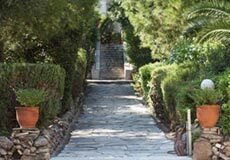 Early Career Fellowships are intended to enable scholars in their first post to spend a period of research leave in Greece. They may, for example, be used to enhance a period of sabbatical or Research Council funded leave. They are not intended to support doctoral research. Fellows will be expected to conduct a programme of original research: the appointment carries no further formal obligations, although involvement in the academic life of the School (for example, in the form of a lecture or seminar) is welcomed. The Early Career Fellow is required to submit a report covering their research and their time at the School to the School’s Council. 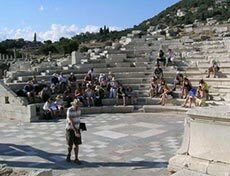 The Fellowship may be taken in either the autumn or the spring term in Athens or Knossos. Accommodation is also offered to an accompanying spouse/partner, at a nominal daily rate. Regrettably, children cannot be accommodated. Applicants should submit a covering letter, a Curriculum Vitae and a statement of their proposed programme of research in Greece. The School Administrator, school.administrator@bsa.ac.uk by Friday 19th April 2019.